We will be at Port Sunlight later today setting up for the Happy Stamper one day show tomorrow. 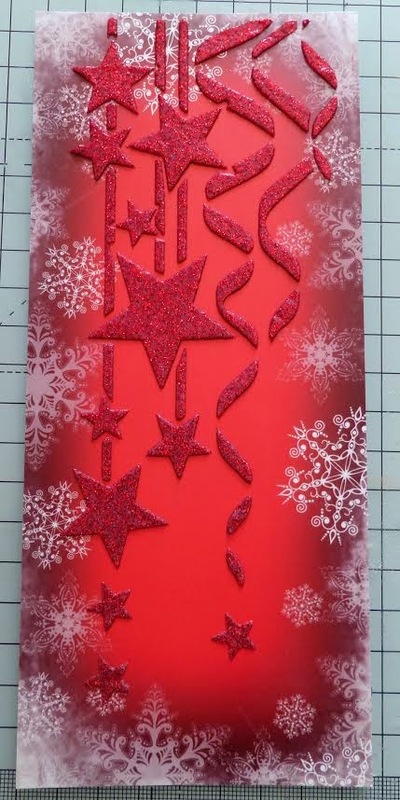 Today we are sharing Cheremane's Christmas card tutorial with you all. Enjoy your weekend and we look forward to catching up with you all. To start place your stencil onto the panel cardstock and attach with low tac tape, you will need to do this twice. 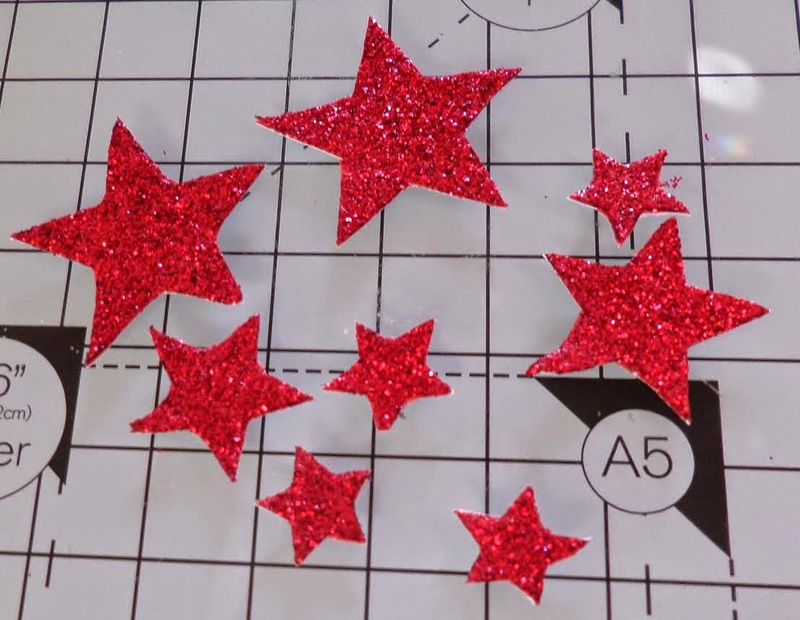 Spread you Sparkle Medium over the stencil, you need to repeat this but just the stars on the second one. 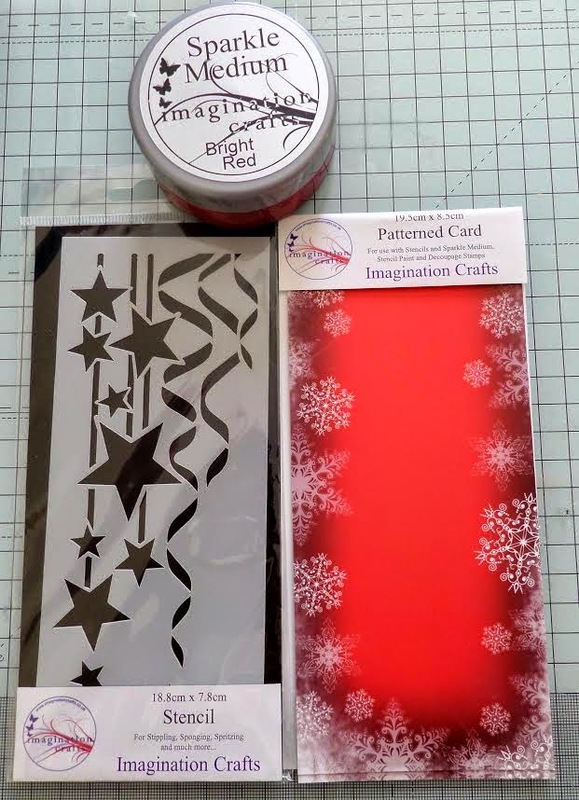 Now mat the panel onto some black card stock and place on a 7x7 blank card along with some ribbon and a few more Sparkle Medium Stars. Its time to make your Christmas Sparkle. A busy day in blogland today. Today we are sharing Jan's beautiful tutorial. Then score the front into 3 equal parts. Cut an aperture out of the front piece a Spellbinder die was used for this aperture. Tape the Toledo stencil panel in place and use Sparkle Medium Berries. Do this on both panels at each side of the aperture. Then put one in the middle of the back piece. You could use fancy paper or a stamp here. Onto acetate use part of the Bird feeder stencil and gold Sparkle Medium, with low tack tape, tape off the parts you don't wish to use. Once this was dry place the acetate into the aperture and add some ribbon. 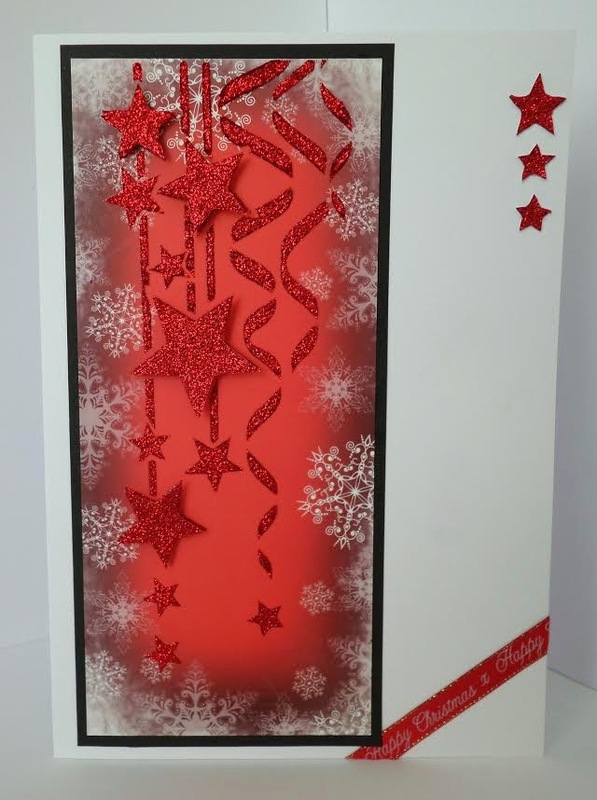 Put the card together using strong tape. Add some lace and die cut sentiment. Thank you for visiting and I hope you enjoyed the Tutorial. Today we are sharing Nicky's tutorial, she sure has been a busy lady as this is her 3rd tutorial. We hope you have enjoyed how the DT have used the MDF Frame and Charms in their tutorials this month. Using Versamark swipe across the top of the frame and sprinkle mica powder. Using the leaves from the Birds on a Branch Stencil and Distress Ink Forest Moss sponged the leaves along the top of the frame and around the edges and over the frame to tone down and give an aged look. Attached the hanger and the bird cage. Distress the bird cage with Vintage Photo. To finish off add the bird and stamped a butterfly onto the bird cage.